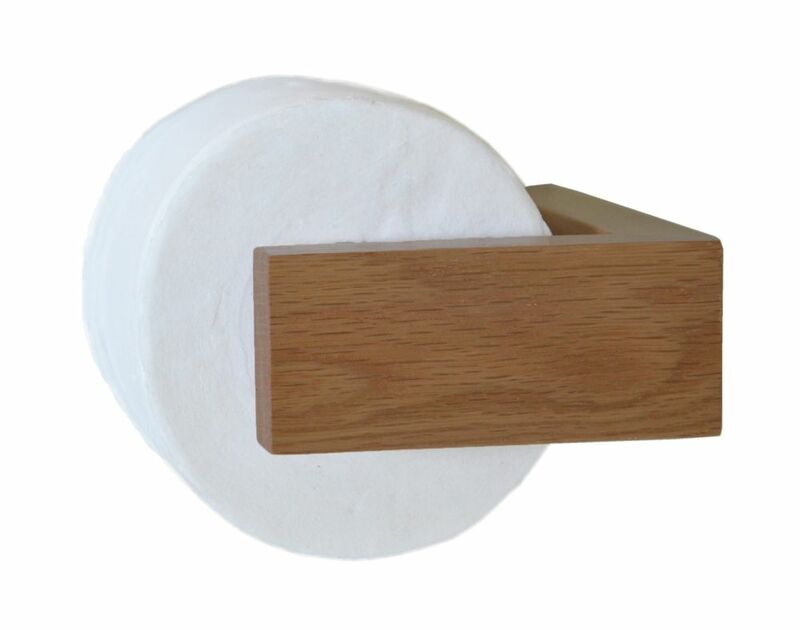 Give your bathroom a sophisticated make-over with this wall fixing roll holder. The refined minimalist design uses a snap-in roller spindle and there are no visible fixings. Co-ordinate this look by adding the mezza roll box (for spare toilet rolls) and mezza toilet brush both in a similar oak finish. Made from natural or dark-stained solid oak and sealed with a smooth water-resistant lacquer. Includes wall fixings.